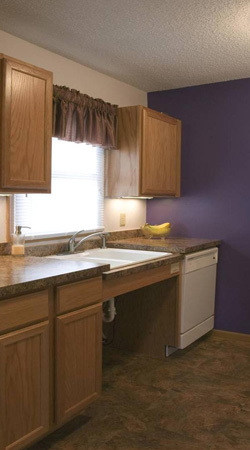 To help make your kitchen wheelchair accessible we can install sinks with extended lever faucets and adjustable countertops so that you may comfortably do everything in your kitchen from washing vegetables to preparing meals. 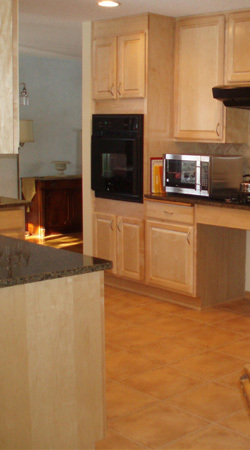 Cooking meals is made accessible with the use of wheelchair accessible range tops and the use of ADA-compliant Wall Ovens that may be placed at ideal heights for your use. 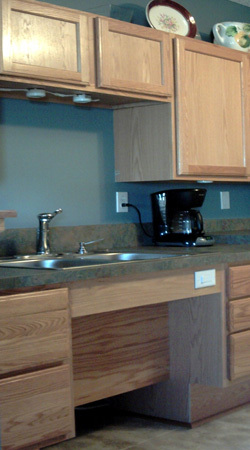 Shelving is adapted so that cabinets are within easy reach for both wheelchair and standing height based on your needs. 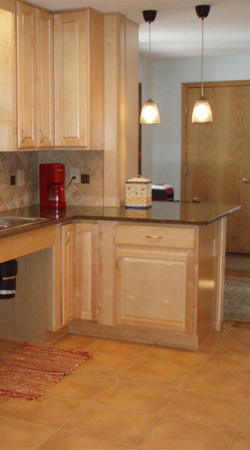 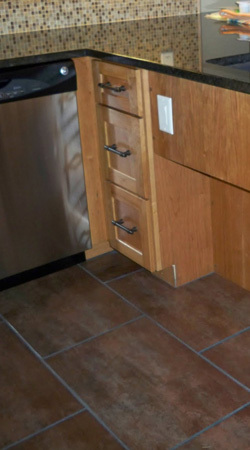 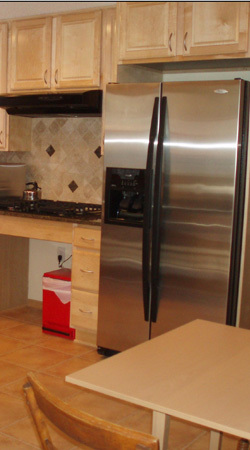 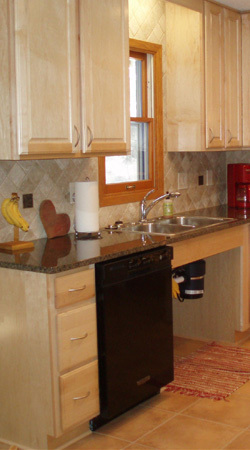 These include base cabinets with roll out shelves to provide for the maximum amount of storage space and ease of use.